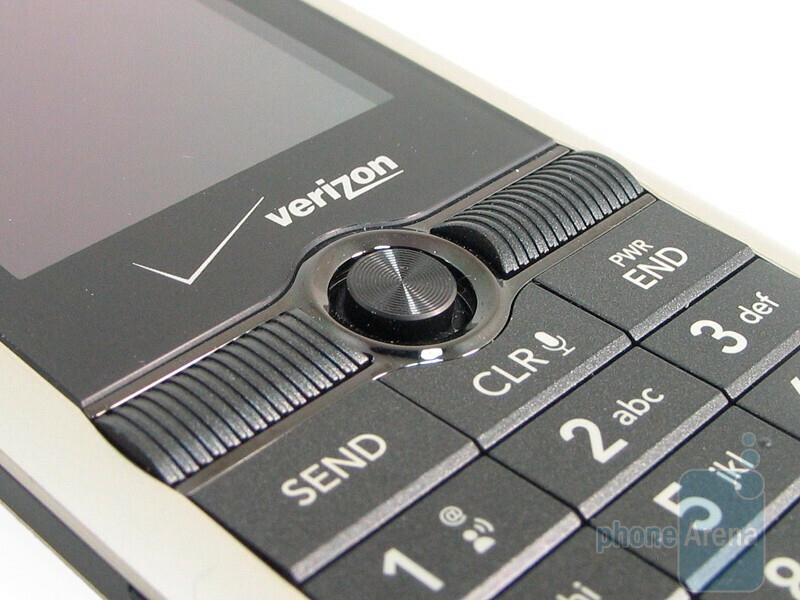 It's pretty apparent that LG has been showcasing tons of QWERTY devices for Verizon's lineup. 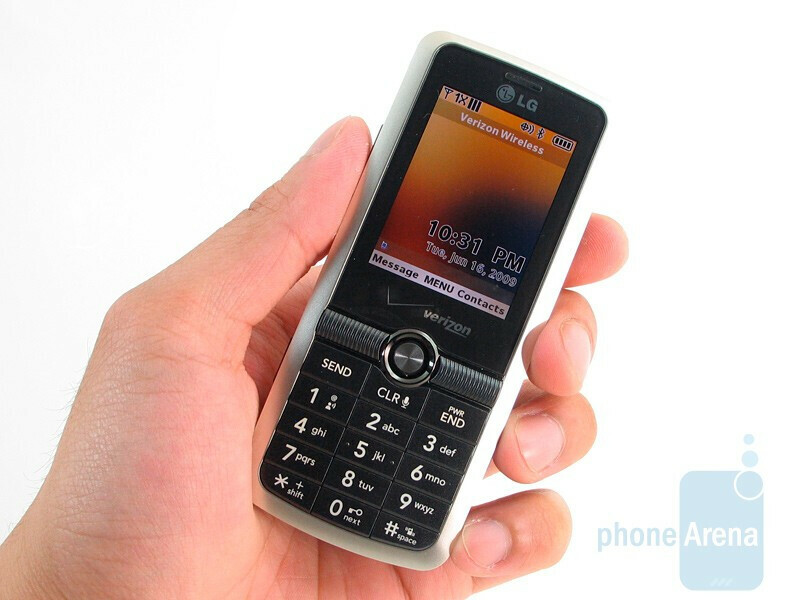 How about something for those looking to just make quick and hassle-free phone calls? Well LG responds by offering the Glance which incorporates a somewhat fashionable look and focuses on what it was meant to do; make phone calls. Although it may not be the feature rich behemoth, at least it tries to stay away from being thrown into the herd of other basic phones. Don't be fooled by the candy bar form factor of the LG Glance, it's surprisingly well made all around. 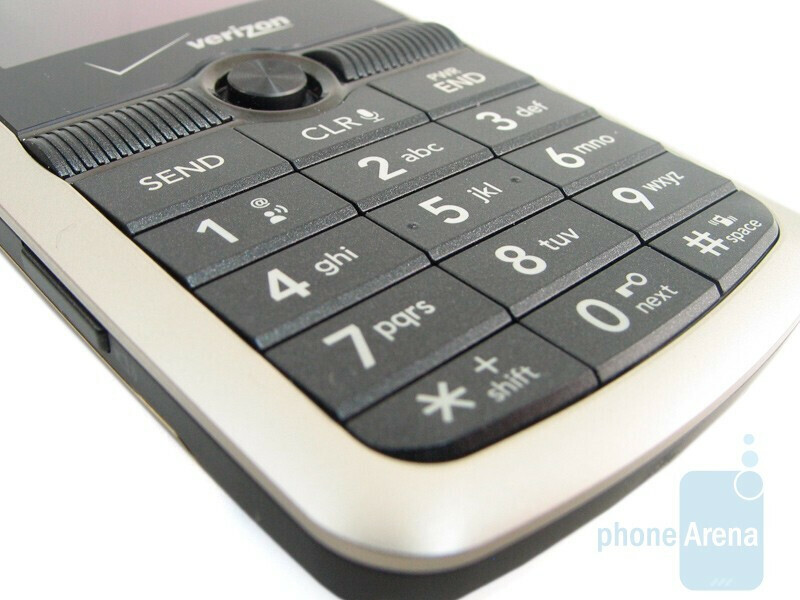 The slick aluminum border on the front blends well with the dark plastic while the rounded edges give it a nice contour. By far the most eye catching area is the battery cover which has a goldish colored knitted pattern – protecting the battery quite well. You won't even notice the weight (2.92 oz) when holding in your hand and is easily concealed in the pocket thanks to its thin profile (0.38”). We'd imagine that it would survive through a lot of punishment thanks to the durable materials and solid construction. 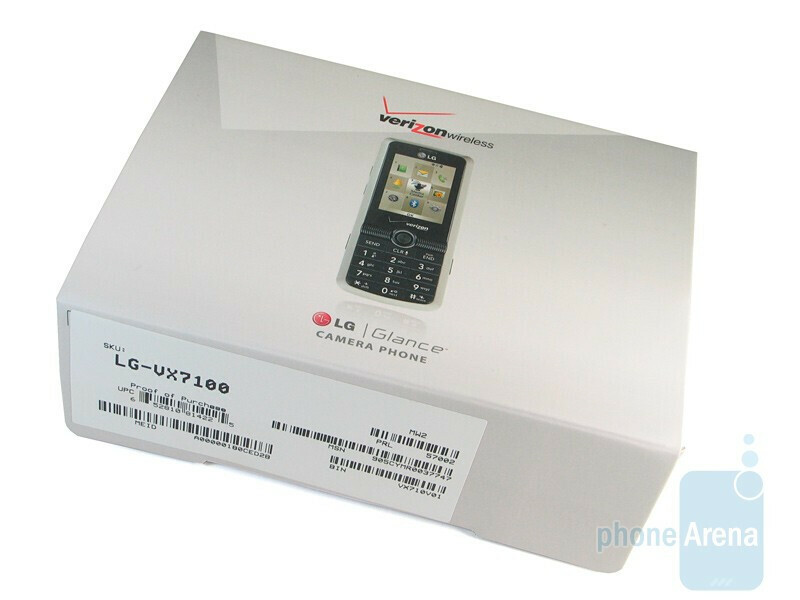 You can compare the LG Glance VX7100 with many other phones using our Size Visualization Tool. We would have liked to see LG increase the size of the screen, but the 2” TFT screen provides great clarity at 240 x 320 resolution. It's capable of displaying 262k colors that jump out and fill the screen with luscious gradients. Combining the great clarity and color levels, we did not find any flaws with it. Adjusting it to the brightest setting will still allow you to view it in direct sunlight, but there was some noticeable glare. 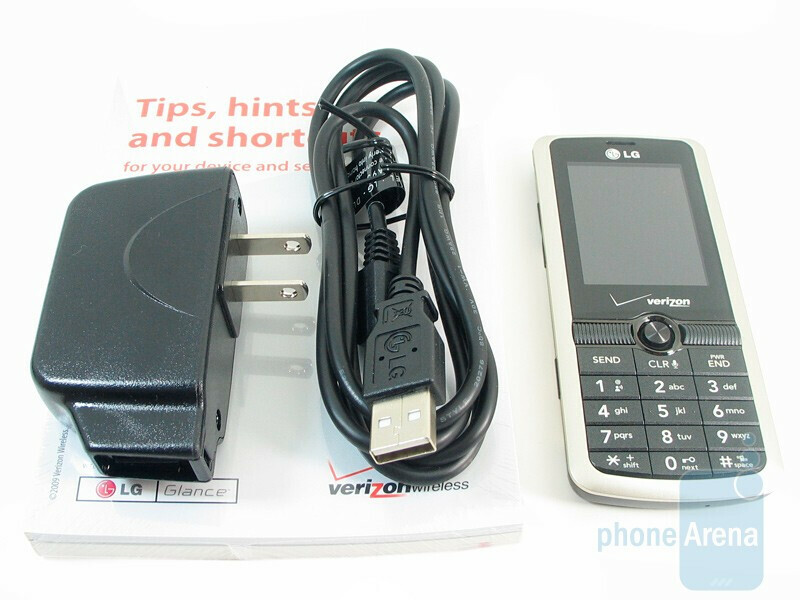 The navigation joystick used is reminiscent to the one found on the AT&T LG Shine, but we like it more because it's bigger and moves around more freely. You really can't mis-press the left and right soft keys that are large enough to accommodate even the biggest fingers. 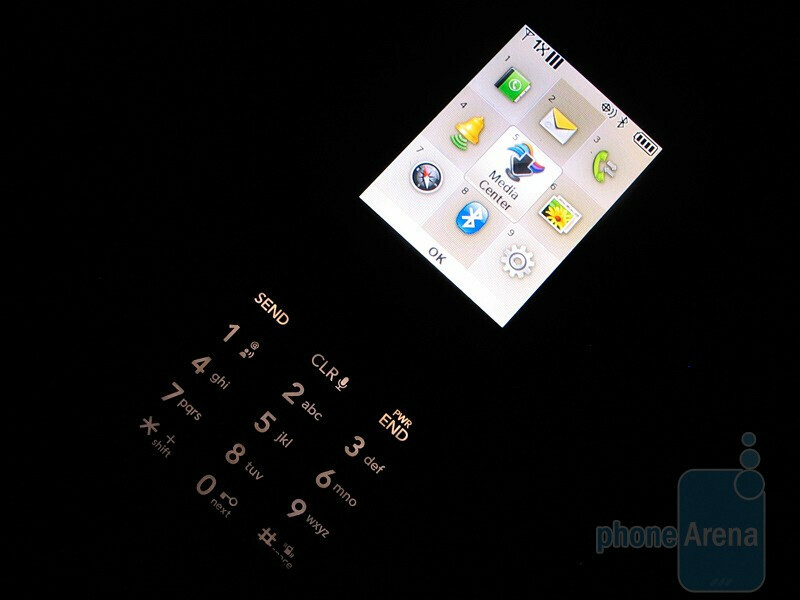 While the keypad, also well sized, is flush with the surface and has a decent tactile feel. The white backlighting is strong enough to see in any lighting condition. Although they were still easily pressed, smaller buttons were used for the volume rocker, speaker phone, and camera button. You'll be able to quickly place a 2.5mm headset by removing the cover found on the left side. Kudos to LG for issuing a more standard microUSB port for charging and connecting to a PC; found on the right edge. 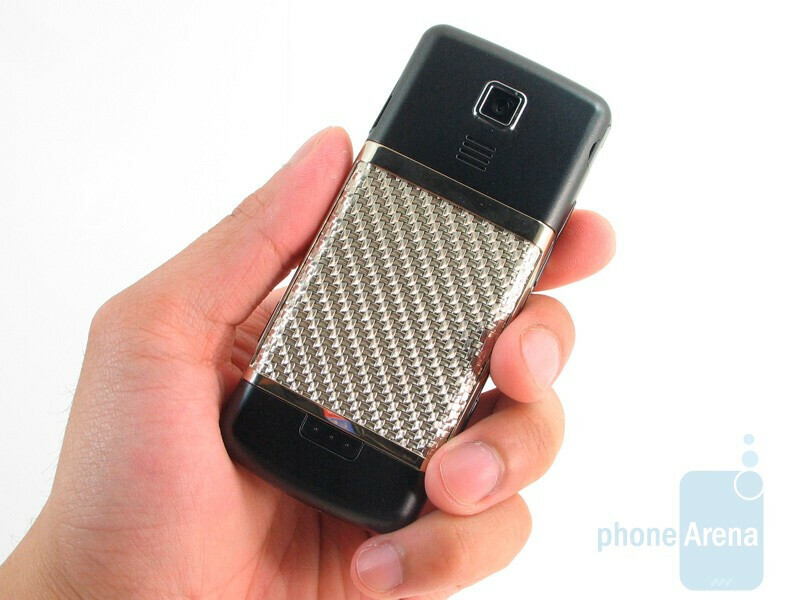 The 1.3 megapixel camera is located squarely in the middle top portion of the rear with the speaker just underneath it. We're still scratching our heads as to why LG decided to use a really strong material with the patterned design for the battery cover. It really doesn't add any better grip, but it will protect the battery with the fashionable look. 7 for looks? ha that's funny. this thing is so tacky with its "bling" battery cover.